Our mantra is ‘Order Brings Peace’ because we know that for every area of your home, we can help you with the tools and habits to conquer the clutter, get organized and find peace. We have worked with old and new homes, and old and new people! There is no job too big and no detail too small when it comes to helping you truly find peace in your home. It is our mission to help you do just that and we are really good at it. 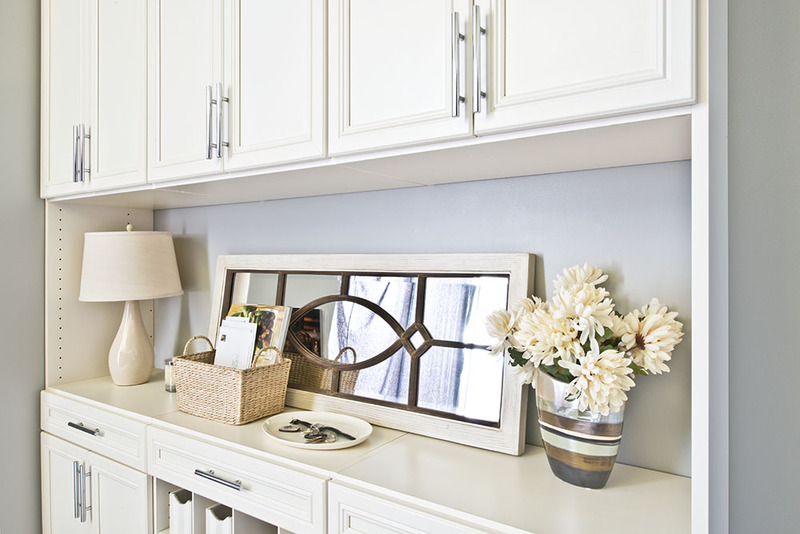 We work with clients every day to make their closets lovely and functional, with a place for everything. When you can see all of your choices, and find what you are looking for, you will feel the peace. And we have a few tricks for laundry days to ease your routine. A drop zone is an absolute must for keeping your sanity! 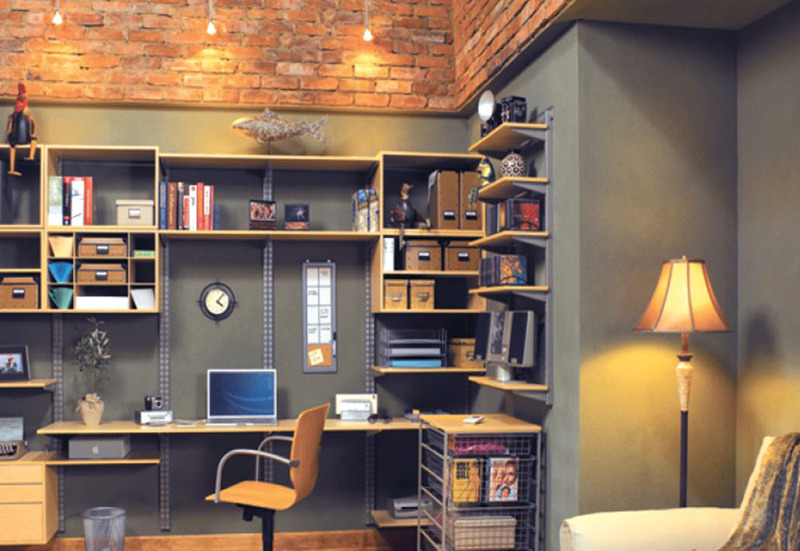 Any space can be utilized to keep piles from forming. Spots for mail, clothing, backpacks, leashes, and everything else that comes in your doors will help you keep it all in check. And you will be able to find your keys. The pantry is either a source of inspiration in your kitchen or the door you close as quickly as possible. 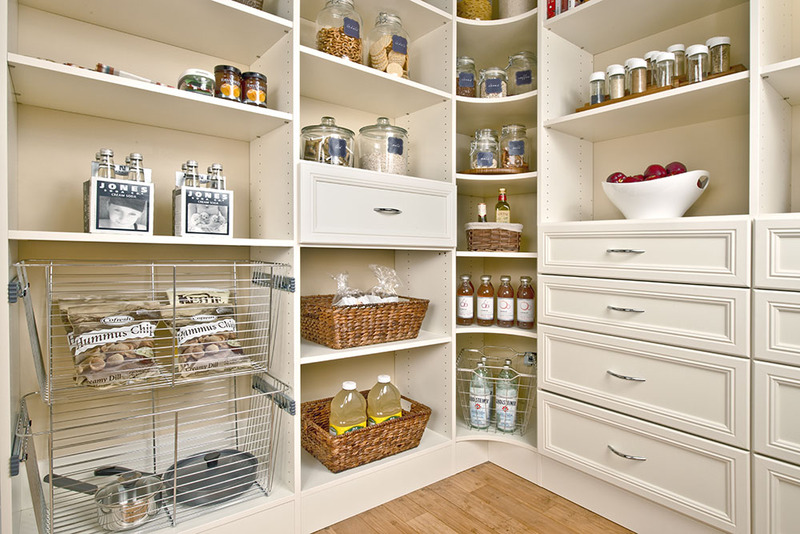 We can help you enjoy your pantry again – no matter what size it is or how disorganized it may be. Cooking becomes more pleasant when you can put your hands to the things you need and get on with the fun part of meal preparation. Do you buy more of different items only to find you already had some at the house? We can help. That beast of a catch-all miscellaneous storage area where we pile up things and more things – until they are about to take over! There is no garage that we cannot transform – we’ve helped collectors of all sorts, fishermen, sportsmen, hunters, crafters, motorcyclists and tinkerers (and hoarders) – conquer the stuff and reclaim their garages. In 2013, we took our company (and our home) paperless. Since then, we have helped numerous clients do the same. Paper overtakes us when we do not have a plan for how to manage the flow of paper into and out of our homes. Thoughtful design of a workflow for managing paper can free you from the clutter, and put your documents at your fingertips in electronic form. The next time you need to find something, there will be no digging through boxes, trips to the storage unit, the attic, or the basement. If you prefer to keep the paper, the same principles and processes will help you keep the paper from taking over. Call us to discuss your challenges. Whether you need your whole house organized, or you need some help with a particular issue – we can help. Home organization is a very personal thing. During the consultation, we will talk about the issues that are on your mind, and identify solutions. Then we prioritize the needed work to address your largest problems first. This process is similar for everyone, but it plays out differently for each client. We will listen and provide solutions that are designed to meet your unique needs, with a plan to help you achieve your desired result. We offer competitive rates and outstanding results. Corporate rates are based on needs analysis and are included in comprehensive proposal. I have never seen a harder worker, male or female, than Donna. I never met or talked to Donna until the day before the job when she came to interview at dinner time. I am right at 70 years old and this task was monumental for me, especially after living in the same home for over 35 years. I had had professionals, friends, and others to help and I was still left with a tremendous amount of work. After finding Donna, she came in and I had to make her take a break after three hours of solid work. She worked 9 hours that first day. I told her what I needed to accomplish and she took charge and took the burden off my mind which was wonderful. I needed help so desperately and I was emotionally and physically exhausted and for the first time I thought it would all get done. Two professional packers had come before and they wouldn't hold a candle to what Donna did in half the time for less money and did it more professionally. She even listened to my problems, she was so caring. I had had a death in the family and needed to move for my emotional health. She is so thorough, so fast. She even called her husband in to help with heavy things. She helped plan how to finish the job and relocate the items that were left behind from the professionals. Donna rescheduled other work to help me in a crisis, even volunteered to assist me drive out of state to my new home. Her price was extremely reasonable and that's an understatement - so much value for my limited funds. No matter what the price was, it would have been a bargain for the amount of work she did. She was extremely sensitive to the care of my belongings. Even my little lap dog who doesn't like anybody but me, loved her. She totally worked around my schedule with my son flying in for a quick trip from out of state. She came back two more times for much shorter periods and then volunteered to come back to help with other things. Donna was amazing. If she does half the job for you that she did for me you will be thrilled, and I never felt like she was or would take advantage of me. I can't say enough good things about her after my rescue.